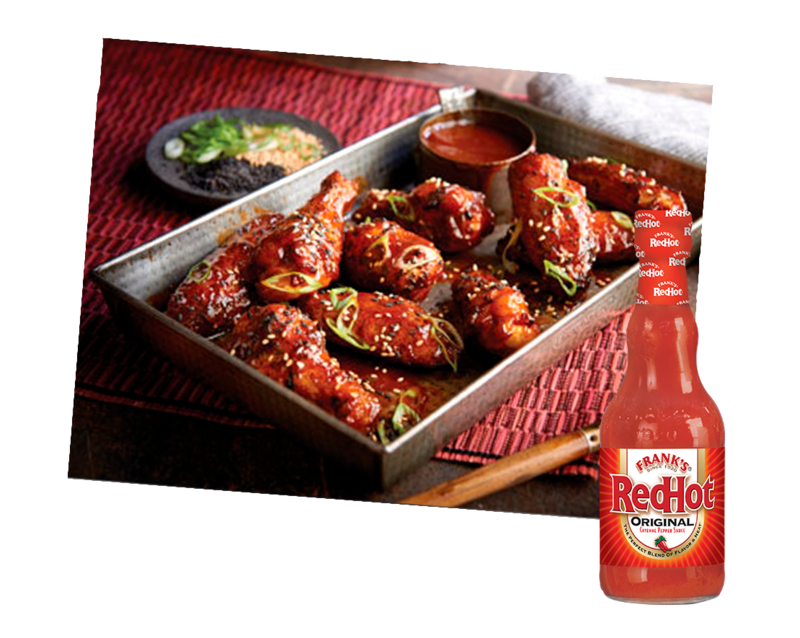 Combine the barbecue sauce, Frank's RedHot Original Cayenne Pepper Sauce, jam and sesame oil and set aside. Deep fry the wings at 190°C for 10 minutes or until cooked and crispy, then drain. Toss the hot wings in the jam mixture.